My Coke Rewards is offering select members FREE $5 eGift Cards! Not signed up for My Coke Offers, no problem – you can click here to sign up! 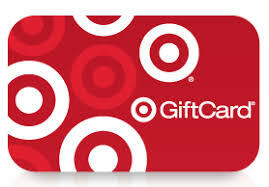 If you are one of the selected few chosen to score a FREE $5 Target eGift Card, you should have received an email with the Subject Line “Redeem 5 Product Codes for a $5 Target eGiftCard” from the email address CocaColaBrands@emailusa.coca-cola.com with instructions on how to claim this offer. You will receive a special link via text, which can take up to 30 minutes. Click on the special link to enter your 5 Coke bottle cap product codes. 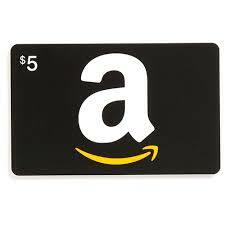 Once you enter the five codes, your $5 Amazon card will be sent to you in 8 weeks! And just by claiming this offer, you will also be entered to win a $1,000 Holiday shopping spree! 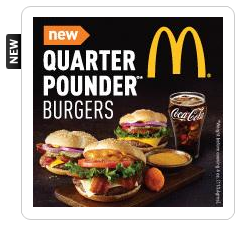 Hurry on over here and log in to your MyCokeRewards Account to score a FREE McDonald’s Quarter Pounder Voucher! No points are necessary to score this! Allow 2 to 4 weeks for delivery! My Coke Rewards: 20 FREE Points! If you’re a My Coke Rewards member, you can add 20 FREE points to your account! Just head over to My Coke Rewards, log in, enter code 10099755715372 to score your 20 FREE points! Hurry! If you haven’t already done so, hurry on over to your My Coke Rewards account, log in and be sure to get your FREE 20 oz Coke Coupon! It will be mailed in 5-6 weeks. 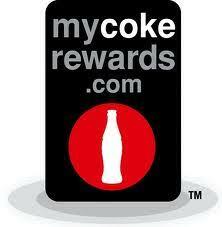 If you’re a My Coke Rewards member, you can add 10 FREE points to your account! Just head over to My Coke Rewards, log in, head over here to score your 10 FREE points! *Note that you don’t actually have to Tweet the message, you can simply exit the box and you’ll still get your points. If you’re a My Coke Rewards Member, you can add 30 points to your account with the codes I have listed below (each code is worth 10 points each)! Simply login, or register for an account then enter the codes!